Judge says SC never made it mandatory upon accountability court to conduct proceedings on Saturdays. 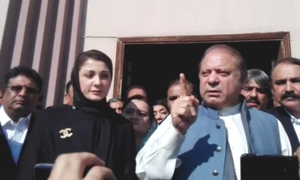 Accountability court says Saturday hearings not mandatory, tells Nawaz he has until June 19 to find new lawyer. 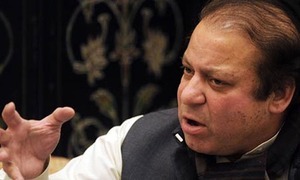 The bureau also wants former finance minister Ishaq Dar and Sharif's two sons extradited through Interpol. 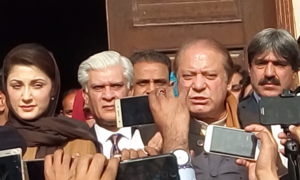 Counsel for ousted PM withdraws attorney papers, citing inability to appear before accountability court on weekends. Says he won't be able to continue with case if court proceedings are held on Saturdays. 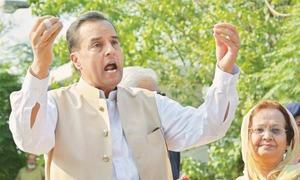 Ousted PM allowed to visit ailing wife in London. 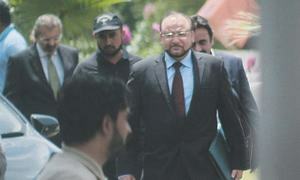 Chief justice directs court to hear the case six days a week, conclude proceedings within one month. 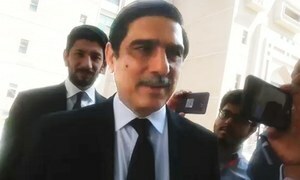 Khawaja Harris, Maryam's lawyer have continued to skip proceedings since prosecution's closing arguments started. 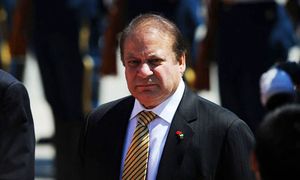 Court rejects former PM's application to defer further proceeding till closing of evidence in other references. 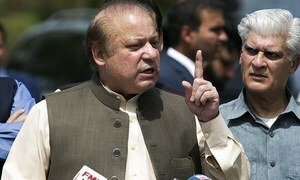 Nawaz had argued that closing arguments should be made once evidence in all three references is presented in court. With some testimonies and final arguments yet to be recorded, court unlikely to wrap up case by June 9 deadline. JIT chief testifies that there are dozens of pieces of indirect evidence to prove Nawaz is Hill Metal’s real owner. 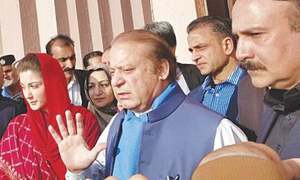 Panamagate JIT head admits the team could not get evidence to substantiate the claim that Nawaz owned the mills. 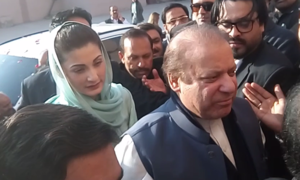 Claims he was victimised and dragged into the case by the JIT to pressurise his father-in-law, Nawaz Sharif. Reads out her court testimony at press conference without taking questions. 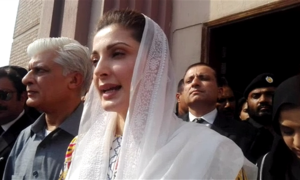 Says wife Maryam was a trustee of the offshore companies. Questions veracity of evidence, claims that she is being denied the right to free trial. 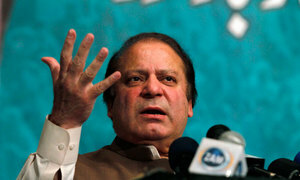 Says that grandfather Mian Sharif looked after the family, providing them expenses and fixed pocket money. 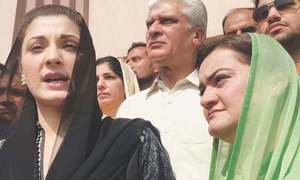 Her statement before accountability court was a rehash of that of her father Nawaz Sharif. 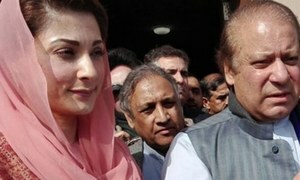 Nawaz expresses sorrow at seeing his daughter in witness box, says "it is setting a bad precedent". 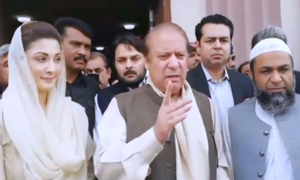 PML-N founder while recording statement in accountability court says is being targeted for standing for civil supremacy. 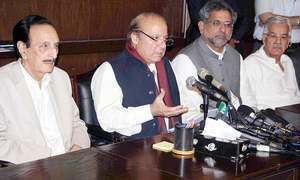 The record "clearly shows that Qatari prince never avoided joining the JIT's proceeding," says the former PM. 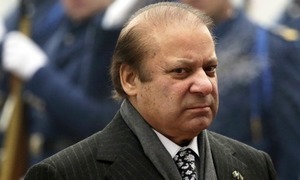 Former PM tells court that he was not given the right to a free trial during JIT probe and filing of NAB's references. 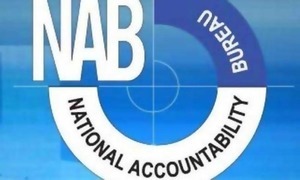 Accountability court decides to initiate process under Section 342 of CrPC. "We are certain the trial will conclude by June 9," the court rules after hearing all arguments. 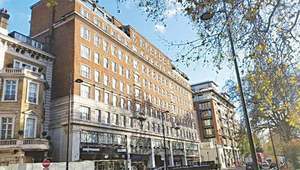 Nawaz is the benamidar owner of the offshore companies which owned Avenfield apartments in London, IO maintains. 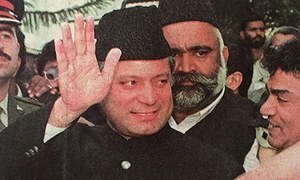 How Nawaz went from being a young man with little interest in politics to becoming one of the most prominent leaders. 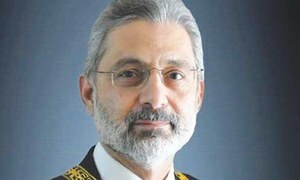 Justice Qazi Faez Isa says Panama Papers case was about London flats, but judgement came on UAE iqama. 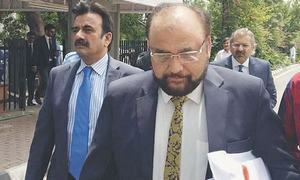 Defence counsel objects to production of JIT chief in accountability court as prosecution witness. 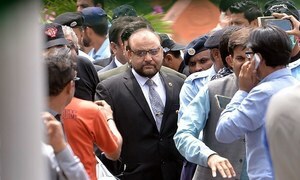 Court also grants NAB three-month extension in Ishaq Dar accountability references.